The Hotel department covers a variety of areas on board. Accommodation team: Mostly doing house keeping Jobs. Directs the Hotel operation to ensure company, divisional and ship performance objectives. The Hotel operation consists of Food & Beverage, Housekeeping, Guest Services, Financial Operations, Facilities Management, Entertainment & Guest Activities, Human Resources, Training & Development, Information Technology Operations, Casino Operations, Doctor & Medical Facilities and all onboard revenue managers. Plans, coordinates and controls the operation of the Hotel organization. Directs the function of all Hotel personnel through the management of department heads. Recruits, motivates, and develops staff. Maintains effective employee relations. Ensures the highest level of guest satisfaction by providing quality guest services and amenities within corporate standards. This is a "role" whereas the person assumes the duties of the F&B Manager and/or HD when they are off the ship. inventory counts while managing carrying costs effectively. Supervises and coordinates activities of a staff concerned with ordering, receiving, storing, inventorying, issuing, and shipping food and beverage and related supplies, tools, equipment, and parts, in a storeroom. This storeroom supports the following shipboard functions: Main Galley, Crew Galley, Pantry, Bakery, Butcher, Windjammer, Dining Room, and Bar. Supervises the day-to-day operations of the storeroom. Ensures the accuracy of par levels, stock rotation practices, storage, receipt and disbursement of supplies. Reviews records for accuracy of information and compliance with established procedures. Schedules and conducts cycle counts and physical inventories. Supervises and coordinates activities of a staff concerned with ordering, receiving, storing, inventorying, issuing, and shipping hotel related hotel consumable and disposable items, materials, supplies, tools, equipment, and parts, in a storeroom, by performing the following duties. This storeroom supports the following shipboard functions: Casino, Cruise Programs, Housekeeping, Purser's Office, Beauty Salon and Gift Shops. Ensures the accuracy of par levels, stock rotation practices, receipt and disbursement of supplies. Reviews records for accuracy of information and compliance with established procedures. Schedules and conducts cycle counts and physical inventories. Directs the overall housekeeping functions for guest areas, public areas and associated activities both personally or through subordinate managers and supervisors. Oversees the assignment of duties, responsibilities and workstations of employees, observes and evaluates employees and work procedures to ensure quality standards and service is met. Monitors, develops and provides on the job training to subordinates to strengthen their current performance and preparation for future advancement. Reviews financial transactions and monitors budget. As Executive Housekeeper, you will be leading a multicultural, world-class team. You will be responsible for the management of all Housekeeping functions and team members onboard. As Assistant Executive Housekeeper, you will be leading a multicultural, world-class team. You will be responsible for assisting in the management of all Housekeeping functions and team members onboard. In addition, you will have the opportunity to travel the world while working for a top global employer of choice. The Housekeeping Administrative Assistant is responsible for supporting, managing and maintaining all clerical and administrative functions for the housekeeping and Laundry division. The candidate should have specific knowledge of principles and processes for providing exceptional customer and personal service including needs assessment, problem resolution, demonstrated strong attention to detail and achievement of quality service standards. The candidate should also have working knowledge of cleaning procedures and equipment, chemical handling, linen par levels, public health standards, computers, internet access, and the ability to navigate within a variety of software packages (e.g. MS Office) and office equipment. The position oversees all clerical and administrative functions for the housekeeping division. This includes and is not limited to the managing and maintaining of reports, performance measuring tools, reporting logs, Inventory logs, internal communications, requisitioning functions, audit results management, Inspection data entry, time and attendance functions and other aspects of crew management and support. This position will oversee the managing and maintaining various reports that are required to support the Housekeeping and Laundry operation. This position will manage and maintain various programs which may include and is not limited to the gift and gear program and revenue reporting for the laundry, floral cart, mini-bar and tuxedo programs as well as various other programs. Maintains public areas and crew quarters in a clean and orderly condition. Overates steam cleaning equipment, scrapers, brooms and a variety of hand and power tools. Cleans public restrooms, elevators, offices and crew corridors in designated areas. Cleans carpet, upholstery, floors, walls, ceilings, draperies, windows and room accessories. Dusts furniture and washes windows, walls, ceilings, woodwork and door panels. As Facilities Cleaning Specialist, you will be serving with a world-class team. You will be responsible involved in the overall public/crew areas cleaning function onboard the vessel, focusing primarily on quality of operations. In addition, you will have the opportunity to travel the world while working for a top global employer of choice. Maintains an assigned section of staff and officer accommodations and corridors in a clean and orderly manner. Makes beds and changes towels. Cleans bathrooms and replenishes bathroom supplies. Cleans showers, sinks, toilet bowl, carpet, upholstery, floors, walls, ceilings, draperies, windows, and room accessories to remove effects of smoke, water and other damage such as dirt, soot, stains, mildew, and excess water and moisture. Sweeps, scrubs and vacuums. Maintains an assigned section of 10 to 21 guest staterooms (and balconies if present), ice stations, service lockers, trolleys and corridors in a clean and orderly manner. During boarding, transports the luggage to assigned areas during boarding and departure and introduce themselves to all guests in their assigned station Explains their function including duty hours and other available room services. Makes beds, changes towels, replenishes bathroom supplies, cleans showers, sinks, carpets, upholstery, floors, etc. Pool Attendants provide courteous, friendly, and professional guest service and ensure that safety comes first in the pool and turf areas. Their responsibilities include maintaining a clean, safe, and sanitary pool area; ensuring that deck furniture is always clean and properly arranged; and observing guests in the pool area to ensure that pool and general safety regulations are followed, responding to any type of emergency by dialing 911. Candidates must have at least one year of experience in a similar role, preferably in a four- or five-star hotel, with an emphasis in pool area maintenance. As Deck Supervisor, you will be working alongside a multicultural, world-class team. You will be responsible for inspections and running the Housekeeping Operation of our state of the art ships (all staterooms, suites and public areas). The Financial Controller leads the ship in all areas of fiscal responsibility and procedural compliance of the Ship's Financial Operation, focusing on the effective and accurate exchange of financial information between Shipboard, shoreside Accounting and Finance Administration. Maintains the Company's integrity of all shipboard accounting procedures relating to the complete payroll process, cash payments, revenue reporting, expenditure reporting, and shipboard budgets. The Financial Controller continually strives to exceed hospitality industry standards in the delivery of World Class service, while ensuring complete Guest and Team satisfaction. Fully accountable for the accurate accounting and dispersal of all gratuity payments to crew. Maintains the integrity of the gratuity liability account for all areas and divisions. Guides, educates and offers comprehensive training pertaining to gratuity reconciliation to all ships Managers. Administes the Foreign Exchange program in certain itineraries. Receives and exchanges cash and coins, chips and checks, credit and/or other monetary notes in the Casino. Operates electronic coin counter or counts chips to determine correct exchange values. Provides guests with paper currency and/or coin equivalence. Maintains, balances and reconciles assigned cage assets (cage drawer). Prepares daily summaries by counting, reading and reconding totals of cash, coins, traveler's checks, credit cards and ship credit. Reseponsible for manual and computerized daily reports including transaction summaries. Optimizes onboard revenue generation by analyzing financial data and develops cross-marketing strategies. Participates with shipboard management in the decision making process and implementation of all issues impacting onboard business and revenue creation. Responsible for meeting or exceeding overall planned revenue and APD targets for the ship. Analyzes marketing programs and associated revenue to develop or adjust strategies and tactics to increase guest participation. Develops marketing promotion plans for improving or increasing profitability of the revenue areas onboard the vessel. Identifies and makes recommendations to implement plans. Works directly with the Cruise Director to identify the optimal scheduling opportunities. Plans and conducts informal focus group sessions with guests and shipboard staff to gather feedback, identify areas for improvement and formulate strategies to optimize guest satisfaction and revenue. Promotes, explains and sells shore excursion tours and packages to guests. Operates point-of-sale (POS) computer terminals and provides training to new staff members. Assists in reviewing tour operators, reviews quality issues and cruise comments and assists with coordinating payment for the tour operators. Administers the shipboard Shore Excursion program and related guest services to achieve established revenue and quality goals. Supervises the financial aspects of the assigned shore excursion program, including the successful identification of expense reduction through cost control. Ensures the continuous and accurate participation of the service operation. Analyzes operational problems such as theft and establishes controls. Prepares a variety of reports and letters utilizing personal computer system and equipment. Shore Excursions Staff promotes, explains and sells shore excursion tours and packages to gusts onboard the vessels by performing the below essential duties and responsibilities. Potential candidates must have a minimum of one to two years proven sales experience in a cruise ship environment, and speak additional languages such as Italian, Spanish, German, Norwegian, and/or French. 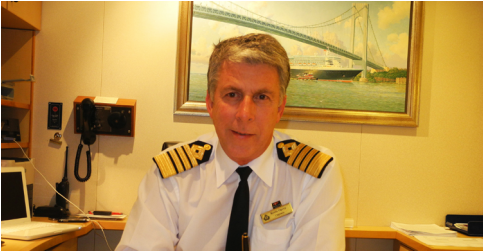 · Administer port lectures onboard for various European ports of call. · Coordinate and promote the shopping program in Europe. · Discuss with guests various tour and shopping options. 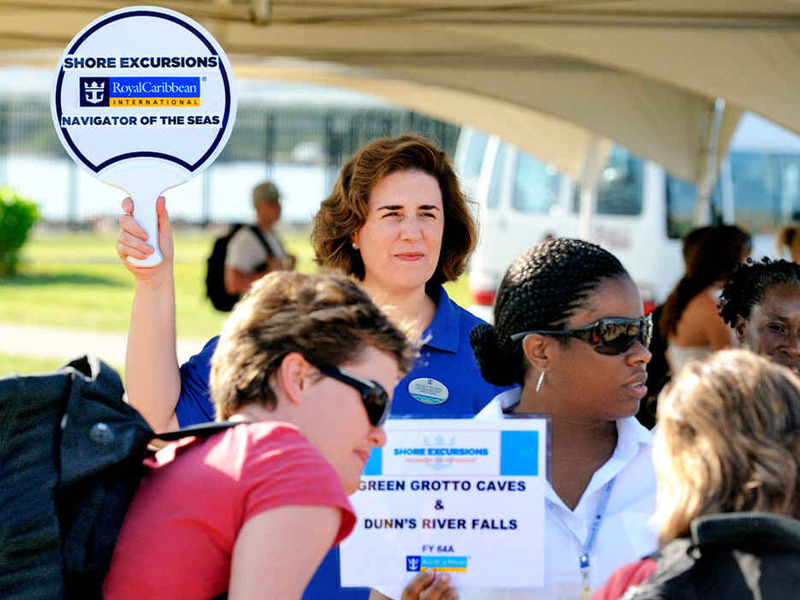 Promote, sell, and up-sell shore excursions, port shopping programs and tour packages as appropriate. · Utilize sales experience and training to achieve revenue goals and monitor personal and team shopping revenue performance. · Provide guest services with regard to tour sales, refunds, complaints, and general port and ship information. · Contact tour operators and assigned stores and venues related to shopping program to relay information to staff and guests. · Work assigned Explorations! shifts on the sales desk, the pier, lounges, or other venues as directed by the Explorations! Manager. · Perform any other job-related duties assigned by the supervisor or management.